With years of disruptive light-rail construction woes along 19th Avenue finally over, a coalition of city officials, business owners, school officials and religious leaders are rebranding the area while launching several initiatives to transform it into a safer, more walkable destination. 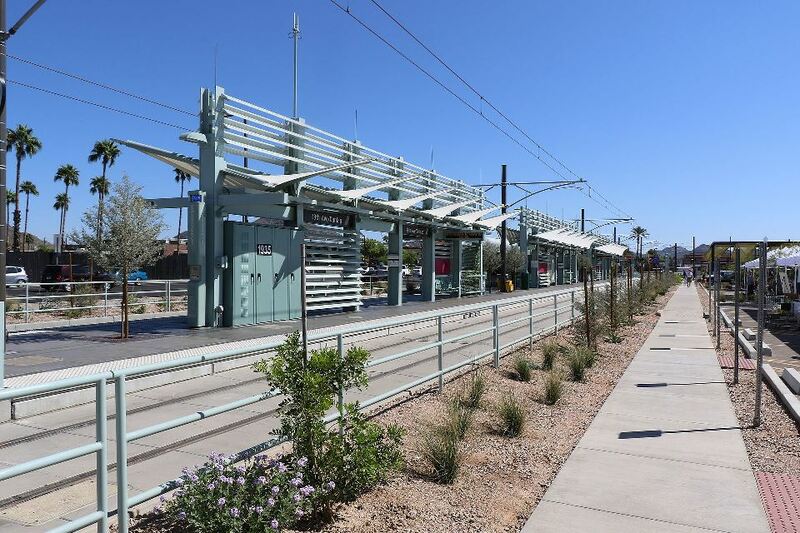 At the center of the corridor is the $327 million light-rail line stretching from Montebello to Dunlap avenues that opened in March of 2016. The disturbance united community members who want to improve the area, said Jill Hicks, director of communications and public engagement for the Washington Elementary School District. The 19 North Alliance plans to make its public debut at a neighborhood meeting on October 7, 2016. Leaders will answer questions about proposed revitalization efforts, which include blight removal, a proposed community garden and a mentoring program for students. Photo by Ktr101 via Wikipedia. See full article in The Republic by Brenna Goth.